December 28, 2014 in Jewelry. Pendant – drop(tear) shape The pendant is really beautiful. Made from raw moldavite and silver. The stone is without sharp edges – pleasant to wearing but with distinct sculpture (texture) and without any damage and breaks. The moldavite probably come from deposit Chlum. June 9, 2014 in Jewelry. Huge pendant made from raw moldavite and silver 925. 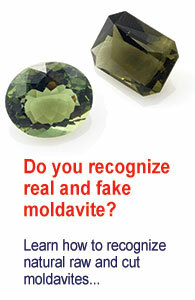 Moldavite probably comes from deposit Chlum. The pendant is pleasant to touch – without any sharp edge but with distinct sculpture (texture) on moldavite. Pendant is handmade by Czech jewelry maker. June 2, 2014 in Jewelry. All carvings are handmade from natural moldavites by artist in the Czech Republic. … a part of zodiac. May 12, 2014 in Jewelry.